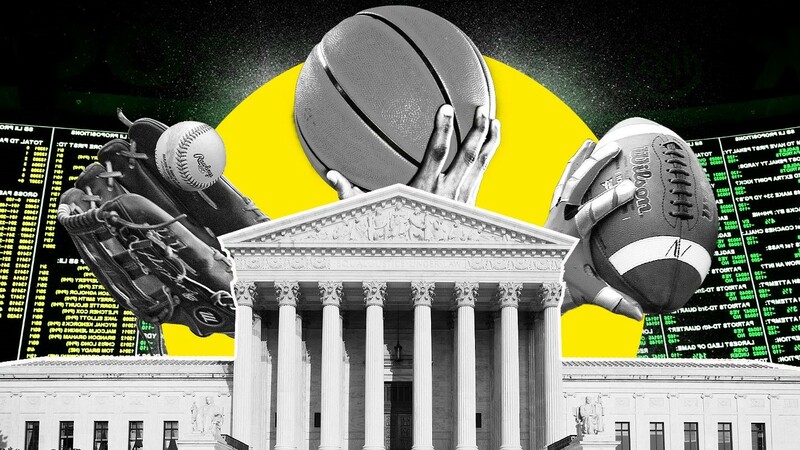 The United States Supreme Court has struck down a federal law that has until now prohibited sports gambling. It is a landmark decision that gives states the green light to go ahead and legalise sports betting. The court ruled 6-3 to strike down the Professional and Amateur Sports Protection Act (PASPA), a 1992 law that barred state-authorised sports betting with some exceptions. It has made Nevada the only state where a person can wager on the results of a single game. States that now wish to offer legal sports betting are now free to do so, with New Jersey positioning to be the first. Delaware, Mississippi, New York, Pennsylvania and West Virginia are all among the states expected to get into the legal bookmaking game as soon as possible. In the outcome of the six-year legal battle, the court ruled in favor of the state of New Jersey and against the NCAA, NFL, NBA, NHL and Major League Baseball. The decision culminated in overturning the federal statute that the gaggle of professional sports leagues had determinedly stood by for more than twenty years. “Congress can regulate sports gambling directly, but if it elects not to do so, each State is free to act on its own,” the court wrote in summing up its opinion. “Our job is to interpret the law Congress has enacted and decide whether it is consistent with the Constitution. PASPA is not.”, the Supreme Court concluded. 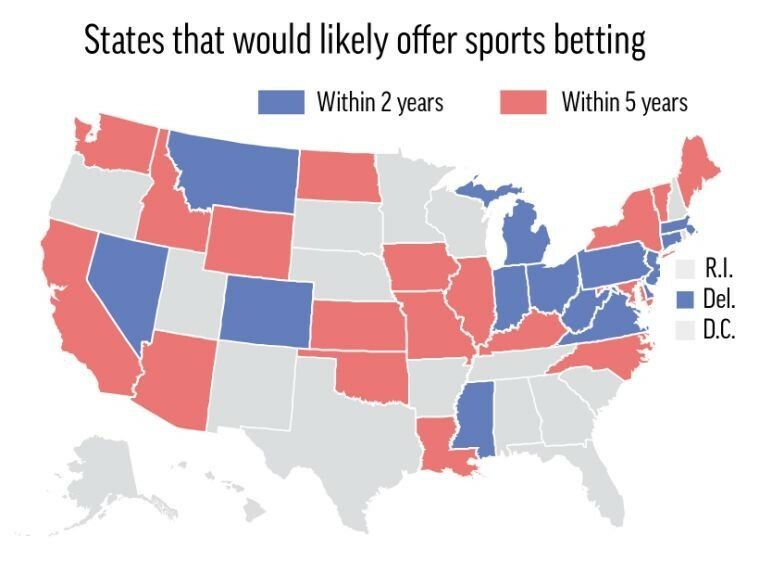 Research firms have estimated several days before the Supreme Court ruling, that 32 states would likely offer sports betting within five years. More than a dozen states supported New Jersey, which argued that the US Congress had exceeded its authority when passing the 1992 Professional and Amateur Sports Protection Act, barring the states from authorising sports betting. New Jersey had said the Constitution allows Congress to pass laws barring wagering on sports, but that the Congress had over-reached and that it could not require the states to maintain the existing sports gambling prohibitions in place. As the case played out over the last six years, the MLB and the NBA lobbied their position of expanding legal sports betting in several states, including in New York, Indiana, Connecticut, Illinois, West Virginia, Kansas and Missouri. “Regardless of the particulars of any future sports betting law, the integrity of our game remains our highest priority.” Mr Silver concluded. “Our most important priority is protecting the integrity of our games,” the MLB’s statement explained. The NFL, NHL and NCAA, on the other hand, quietly sat on the sidelines awaiting the ruling, as if resigned to their collective fates. Understandably, the US Gambling Industry is absolutely delighted with the Supreme Court ruling in favour of sports betting. “Today’s ruling makes it possible for states and sovereign tribal nations to give Americans what they want: an open, transparent, and responsible market for sports betting,” Freeman went on to say. “Through smart, efficient regulation this new market will protect consumers, preserve the integrity of the games we love, empower law enforcement to fight illegal gambling, and generate new revenue for states, sporting bodies, broadcasters and many others.” Mr Freeman excitedly concluded. Shares of casino operators and their games suppliers spiked on the news for the industry. Scientific Games Corp., a slot machine developer and manufacturer that also processes bets for sports book operators, rose 9.8 per cent, whilst Caesars Entertainment Corp., the largest of all US casino operators, rose 6.3 per cent. MGM Resorts International, the biggest owner of casinos on the Las Vegas Strip, also rose 6.3 per cent. MGM had precipitated the Supreme Court ruling in the days before it was handed down by giving a presentation to its investors last in which it had sketched out a future of more professional sports teams in Las Vegas and a greater national presence in sports betting, both in online and land-based casinos. What does the US Supreme Court’s ruling mean for Canada? The U.S. joins other jurisdictions that have long allowed legalised sports betting, including big sports betting markets like Canada, the United Kingdom, Australia and France. Far from being detrimental to the Canadian sports betting industry, it has been determined that the increase of competition from the south will offer Canadians a greater choice and that local operators will step up to the plate in offering better services for their clients and a wider range of quality sports betting products. Our panel of unbiased and independent online sports betting experts have unearthed that the best sporting odds available over the long-term are the sports betting options with established and experienced online casino sites, 888 Casino, PornHub, Betway, William Hill. Spin Palace and Karamba. These quality sportsbooks offer many great sports betting options and great odds on virtually every sport you can possibly imagine. Specifically, these sportsbooks are implicitly designed with Canadian sports betting in mind, with a full range of North American sports betting options available such as NHL, CFL, NFL, MLB, PGA Golf tournaments, NCAA and NBA.